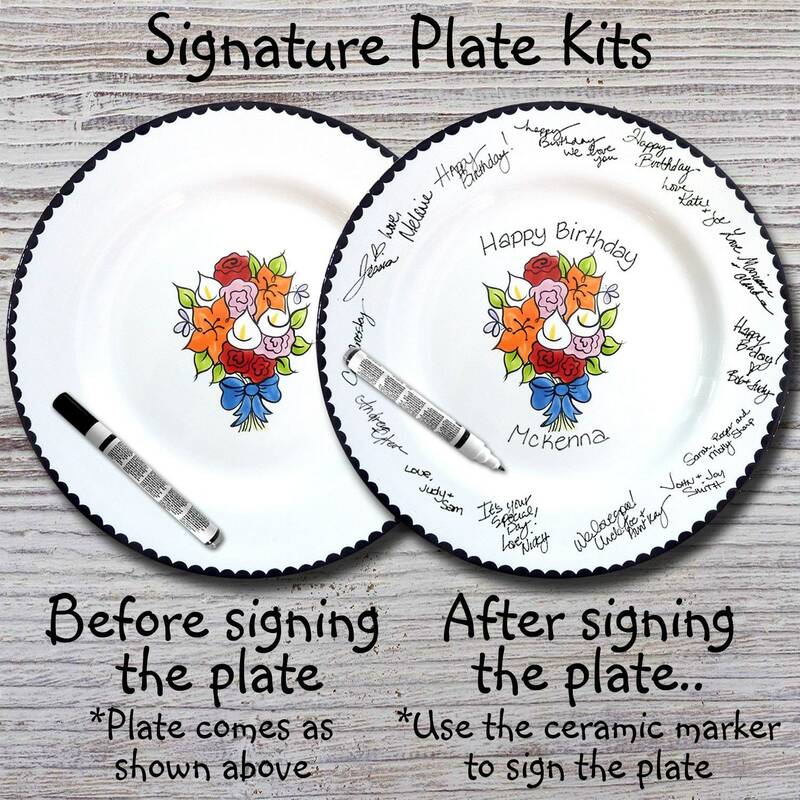 This hand painted 11" ceramic plate will make a fun special keepsake. 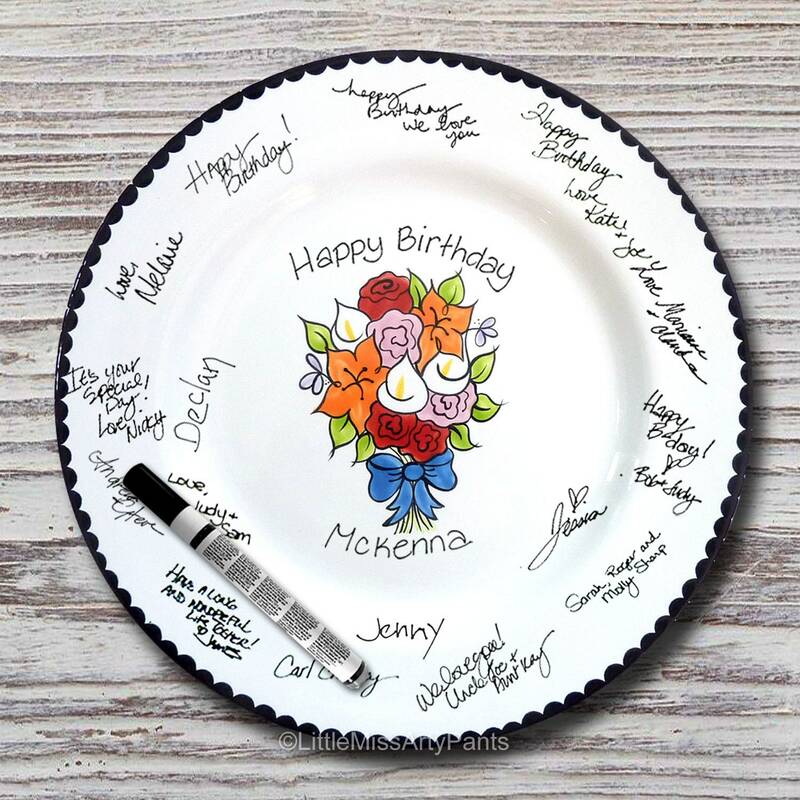 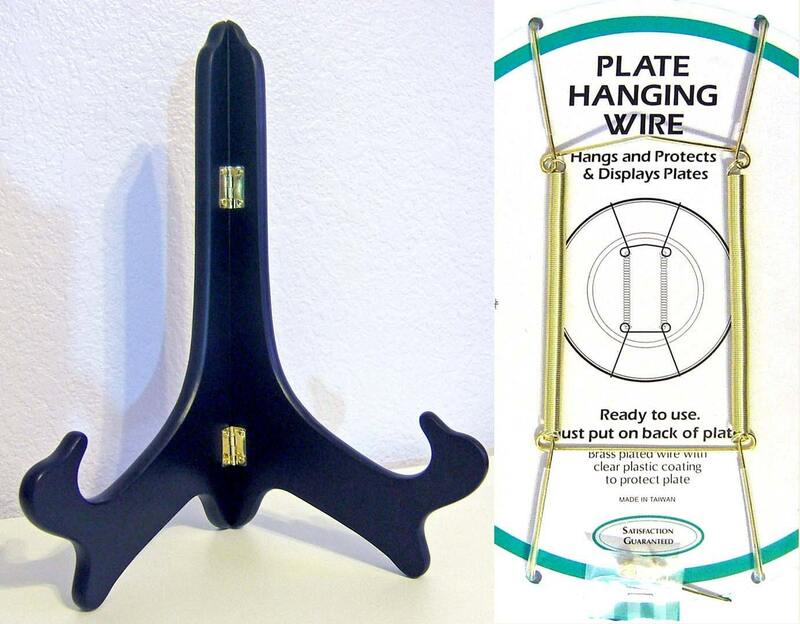 Great for birthdays and celebrations. 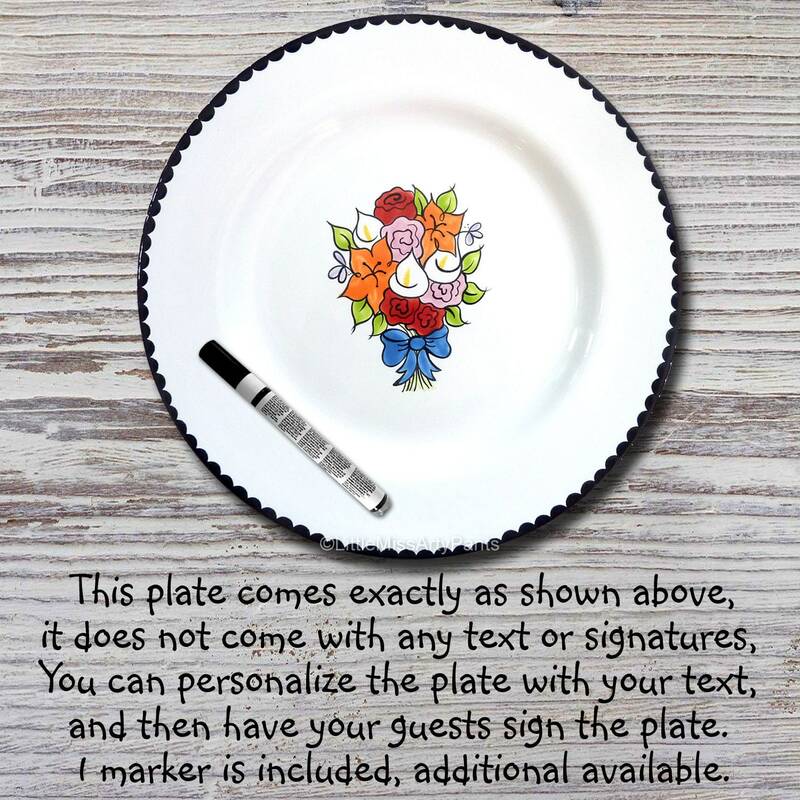 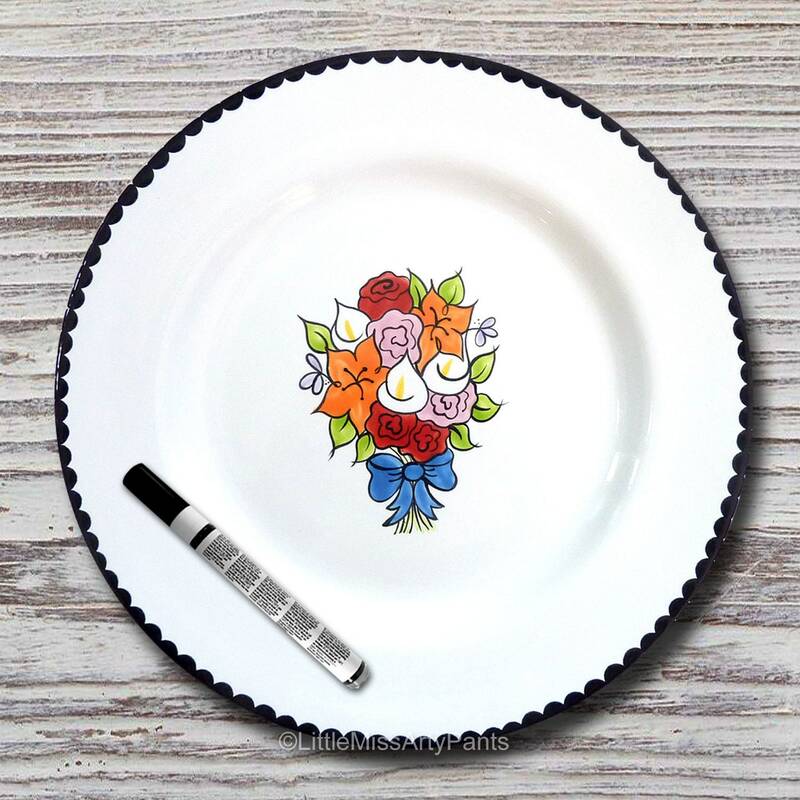 The plate includes a black ceramic marker so you can personalize and sign the plate, a 2nd marker is available for an additional $6.00.